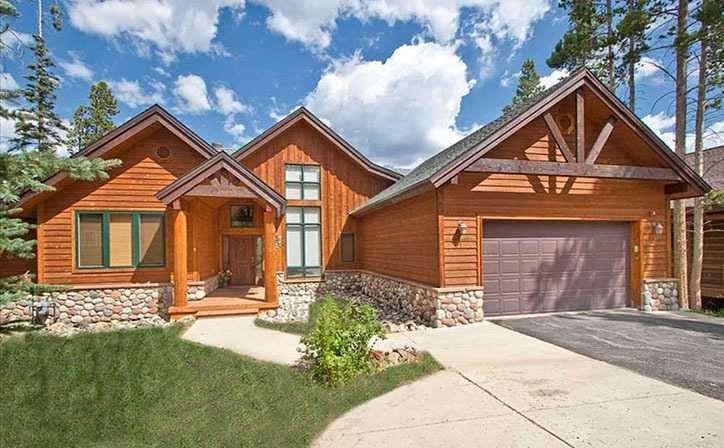 Breckenridge Colorado Luxury Vacation Rental Home is just steps from the mountain, this deluxe, spacious, newly-renovated, home in Warriors Mark West next to Peak 9 is a fun ski in/out neighborhood to the Quick Silver Lift or Beaver Run lift. This area is full of beautiful Million Dollar homes! This beautifully decorated home has 3 comfortable and luxurious bedrooms and two Queen Sofa Sleepers along with WiFi while surfing in your private hot tub. 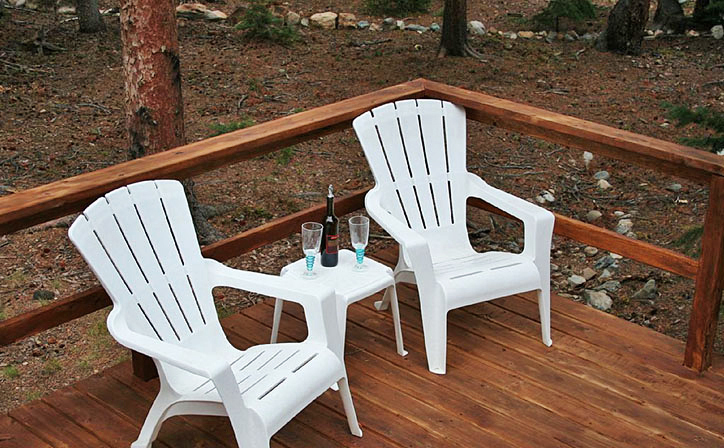 In the summer, enjoy the deck, cook your steaks on the grill, and breathe the mountain air. 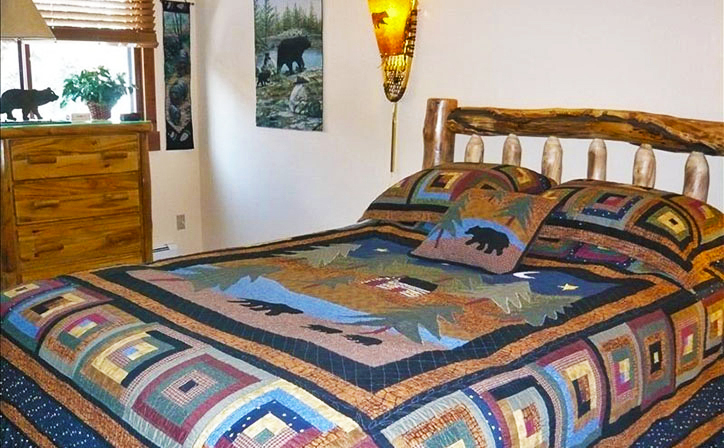 Bear Haven is conveniently located about a mile from Main Street, boutiques, shops, and night clubs in the heart of Breckenridge. A variety of excellent restaurants – serving everything from Sushi to Italian – are close by. 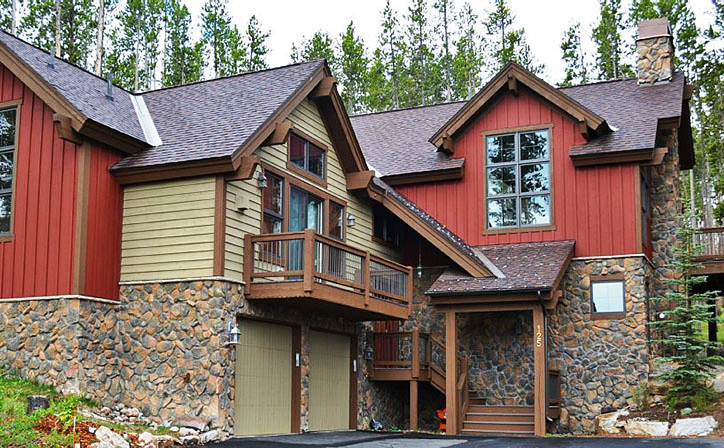 During your stay at this Breckenridge Colorado Luxury Vacation Rental Home, you can enjoy the gold rush atmosphere of historic Breckenridge with one of the top-rated North American ski complexes right at your front door in the winter. In the summer, you can enjoy hiking, mountain biking, whitewater rafting, hot air ballooning, kayaking, horseback riding, jeep tours of gold rush ghost towns, and above all sunshine, blue skies, and cool nights. Additionally, the Breckenridge Recreation Center offers a fitness center, swimming pool, rock climbing wall, and various other activities and classes for the entire family. And if all this is not enough – there is an Internet Cafe and DVD Rental Store available in town. 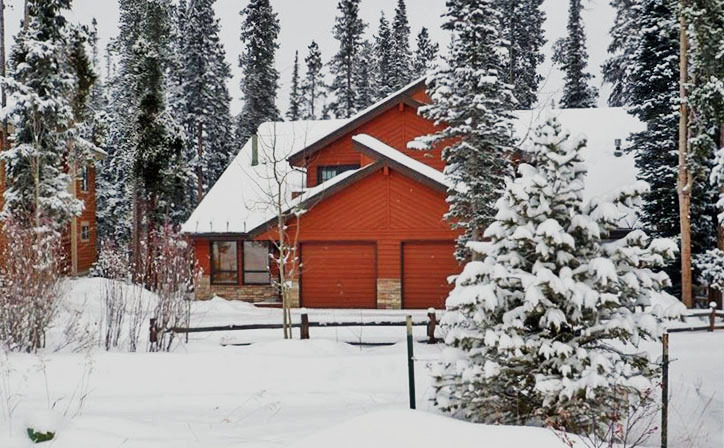 This beautiful Breckenridge Colorado Luxury Vacation Rental Home is located in Warrior’s Mark which parallels Peak 9 and is at the base of Peak 10. 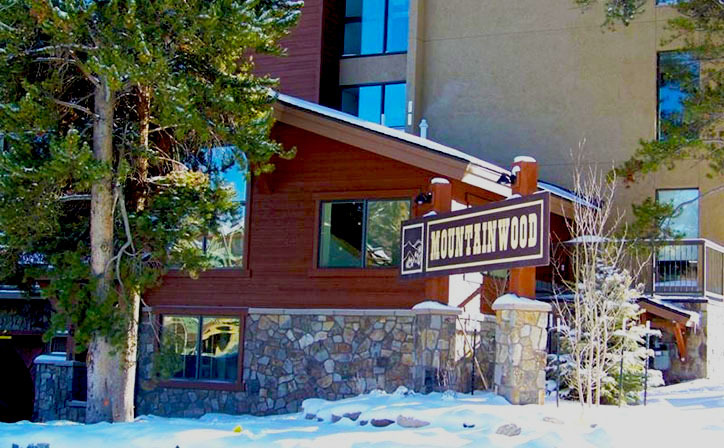 (You have an easy and fun ski through about 200 yards of easy woods on the way back) and offers luxurious and comfortable accommodations. You will appreciate the convenience of your own garage parking, plenty of storage room, and a washer and dryer, along with a full kitchen and great dining area. 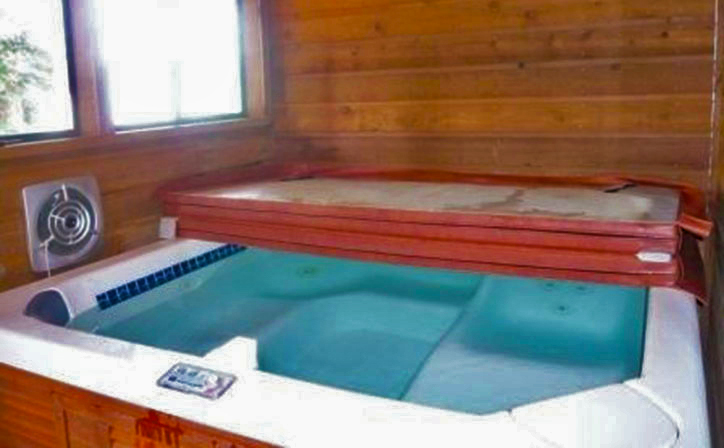 You will have your own private Hot Tub. 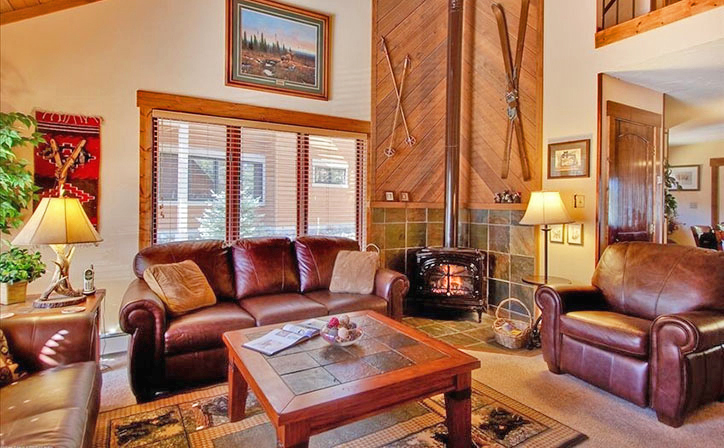 This Breckenridge Colorado Luxury Vacation Rental Home has a fully equipped kitchen, a gas stove/fireplace in the living area, with a luxury leather couch, love seat, chair, and cozy surroundings. The living room and bedrooms all contain their own TV’s for your viewing pleasure. The splendidly decorated master bedroom has a Queen bed, private patio, and new furniture. The second bedroom and third bedroom also have a Queen bed, with two Bathrooms upstairs. 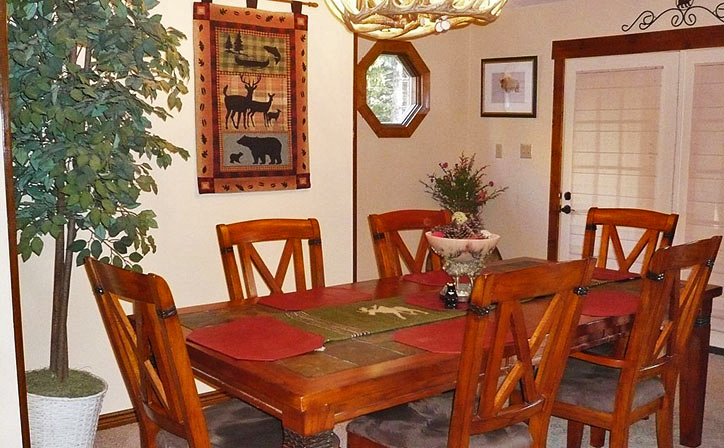 For extra guests, the couches in the living room and dining area includes a queen hide-a-bed. 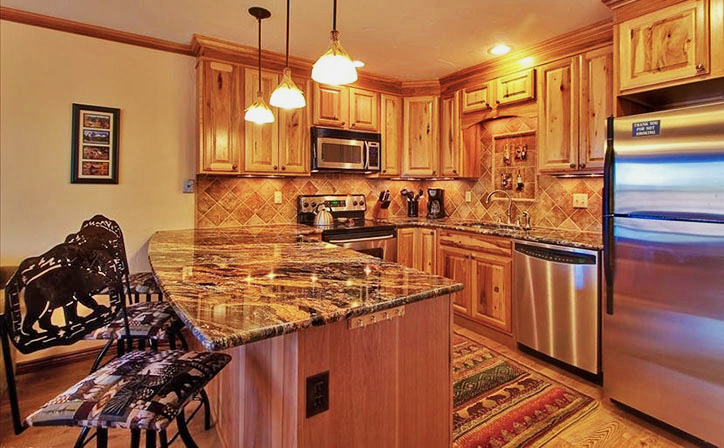 At this Breckenridge Colorado Luxury Vacation Rental Home, our hope is to provide you with the opportunity to have a wonderful vacation that includes convenient, comfortable accommodations in the perfect location at a reasonable price. Whether it is a romantic get-away or a family get-together, we have no doubt that you will fall in love with this charming town (and our home). 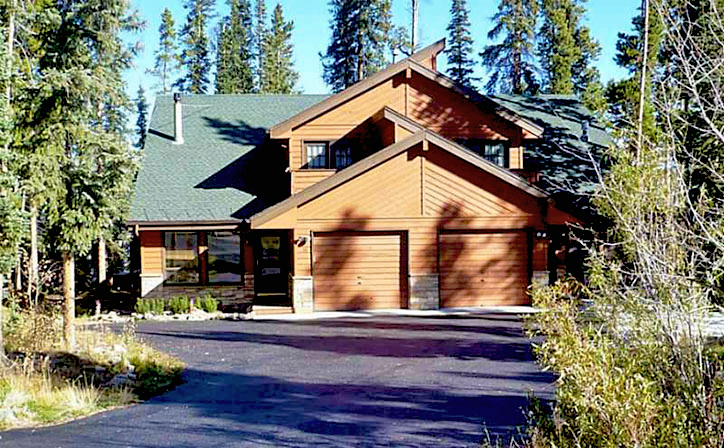 We know that your visit to Breckenridge, Colorado will be one of the most enjoyable and memorable experiences of your life! You may call Bill at 813-685-7272 or at the Reservation Form to check on availability and other information. Full Kitchen with Pots/Pans, State of the Art Appliances, Cooking Utensils, Full sized Refrigerator, Dishwasher, Microwave & more. 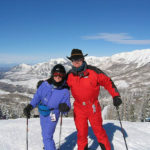 Cross Country Skiing, Cycling, Fishing, Golf, Hiking, Hot Air Ballooning, Hunting, Jet Skiing, Kayaking, Mountain Biking, Parasailing, Racquet Ball, Rafting, Rock Climbing, Sailing, Skiing, Snowboarding, Snowmobiling, Swimming, Tennis, Water Skiing, Wind-Surfing. The layout of this house is wonderful. The great room in front is cozy and the gas stove makes it toasty. 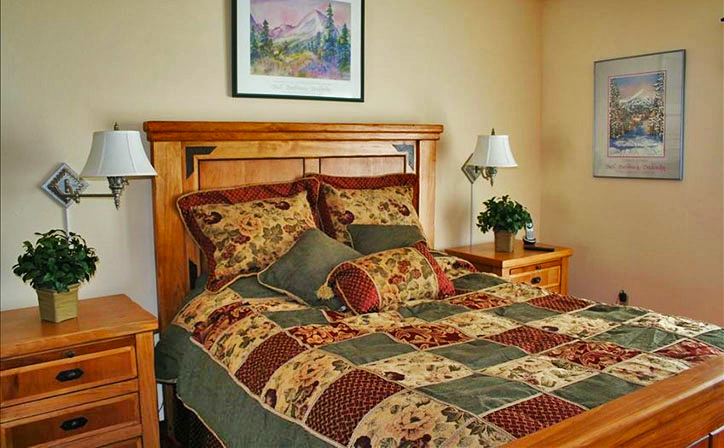 Each one of the bedrooms is a master with large comfortable beds and privacy for all. The kitchen is beautiful with its new hickory cabinets and stainless appliances. Easy to cook and clean up. We loved the ski in/ski out feature as we could get to Peak 9 easily, except for one day when there was deep powder and we were the first ones in the morning. Love the hot tub for soaking and the birds at the bird feeders. Thanks Bill and Kathy for sharing your lovely home!